Learn how to buy used classic autos and you will have a car you love and an investment that will greatly appreciate. Knowledge is the key here and knowing which questions to ask when you buy used collectible cars. If you are going to buy used classic cars, the most important thing you can have at your disposal is knowledge of them. Purchasing a classic car is much different than purchasing a typical car and even for the most experienced buyers it can be a tricky feat. The last thing you want is to spend big money on a lemon. 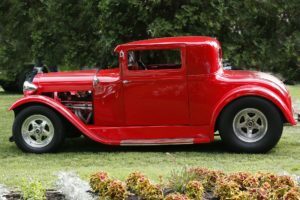 Here is a look at helpful steps that can help you find a quality classic car that you’ll enjoy for years to come. First, you must decide what you want in a classic car. Do you want to buy used classic cars to enter in competitions or do you want to drive your classic car on a regular basis for pleasure? For those who plan to use the car all the time, going with a vehicle in “show condition” is not the best choice. However, if you plan to compete, then spending a bit more on a classic car in better condition will be worth your money. After you know what you want in a collectible car and what you are going to use it for, start researching the specific car that you want. Different cars have specific problem areas that you have to watch out for when buying. Take time to research the exact model and year you’re looking for so you know what to look for when considering particular cars. Once you are looking at a specific vehicle when preparing to buy used classic cars, carefully do a visual inspection. Take a look around the vehicle looking for body damage and rust. Ensure you look under the hood as well as the hoses, belts, and fluids. Keep an eye open for any leaks. After you have done the visual inspection, take the car on a test drive. Never buy used classic cars without testing them out yourself. Have the owner start up the vehicle and look at the tailpipe. If there is black or blue smoke, there could be a problem. Drive the vehicle yourself. Take note of the power, any sway that occurs in the front, and how the car shifts. You want the car in great driving condition – otherwise, you may end up sinking a lot of money into repairs once you purchase the car. It’s important that you ask for documentation and records on the vehicle as well. You want to see what repairs have been done on the vehicle through the years. If the owner tries to tell you they have no records, think twice before making the purchase. Even if the car looks great to you and it runs great when you test drive it, have a pre-purchase inspection done by a trusted mechanic before you buy used classic cars. A mechanic probably has more knowledge than you do and may be able to find problems that you could have overlooked. Ensure you go with a mechanic you trust and get a full report before making an offer on the vehicle. Get a vehicle history report on the classic auto, even if the mechanic says things look great. This way you can ensure the car is not stolen and you can also find out how many people have owned the car in the past. These vehicle history reports can be done on the web and are reasonably priced and well worth the money. Once you are sure the car is a good investment, then you are ready to make a reasonable offer. Make an offer according to the price guide with any problems the car has in mind. Remember, this is a vehicle you don’t have to buy, and if you don’t get a fair deal, you can simply walk away from the deal. These steps are important if you are going to buy used classic cars. Always use these steps to ensure you get a great deal, and remember that knowledge is going to be your key to success when purchasing any classic vehicle. Interested in Buying or Selling a Classic Used Car? Part of the reason Classic Cars Online US exists is to help connect classic car buyers and sellers, and we’ve added several ways for you to connect, but first, be sure to visit the Classifieds page if you’re in the market to buy or sell collectible used cars.